The early Christian religious monuments in Ravenna are of outstanding significance by virtue of the supreme artistry of the mosaic art that they contain, and also because of the crucial evidence that they provide of artistic and religious relationships and contacts at an important period of European cultural history. In the reign of Augustus the port of Classis was established at Ravenna. Following the barbarian invasions of the 5th century, Honorius made it his capital. His sister, Galla Placidia, lived in Ravenna during her widowhood in the first half of the 5th century, and made it a centre of Christian art and culture. With the deposition of Romulus Augustulus in 476, Ravenna entered into a period of prosperity and influence. It was taken by Belisarius in 540 and remained the centre of Byzantine control in Italy until 752. Its subsequent history was one of decline and stagnation. After 1441 it was under Venetian and then papal rule. The Mausoleum of Galla Placidia, built in the second quarter of the 5th century, has a plain bare exterior lightened by pilasters that meet in arches and is crowned by a brick dome concealed by a small quadrangular tower. The interior is lavishly decorated. The lower part is clad in panels of yellow marble and the remainder is entirely covered in mosaics. The building is in the western Roman architectural tradition. The Neonian Baptistery, built by Bishop Orso in the early 5th century, was decorated with mosaics by his successor, Neone, around 450. The interior consists of four apses, articulated into two orders of arches, rising to the great cupola. The large mosaic medallion at the apex of the dome shows the Baptism of Christ by John the Baptist. This is the finest and most complete surviving example of the early Christian baptistry. The Basilica of Sant’Apollinare Nuovo was built in the early years of the 6th century. Inside the interior is divided by 24 marble columns into a nave and two aisles, with a rounded apse. At the present time mosaics cover the two side walls at the foot of the nave, from the ceiling to the tops of the supporting arches, in three decorated fascias. Those in the upper two fascias are in traditional Roman style whereas those in the third show strong Byzantine influence. The Church of San Vitale was completed around 547. It was fronted by a large quadroportico, converted into a cloister when the church became part of a Benedictine monastery. There are two storeys, the upper one encircling the dome. The apse, which is semi-circular on the interior and polygonal on the outside, is flanked by two small rectangular rooms terminating in niches and two semi-circular sacristies. Of the three world heritage sites I visited in Emilia-Romagna, Ravenna was by far the most impressive. Ravenna was the capital of Western Roman Empire at the time it fell in 476 and remained the Byzantine capital of the region afterwards. There is very little which can be thought of as “roman” in the city, especially compared with what you will see in Rome. The most significant buildings are the Byzantine era churches from the 5th-7th Century. There are a total of 8 buildings in the Ravenna area which are part of the site. 6 of the 8 are located within walking distance of each other in the middle of town. The other two are located just outside of town and are accessible by car. The most significant of the churches are the Basilica of San Vitale and the Mausoleum of Galla Placidia. Both are located on the same property. Both buildings are romanesque designs with exquisite, well preserved mosaic artwork. The octagonal basilica is very reminiscent of the Aachen Cathedral in Germany, which is also of a similar romanesque design. 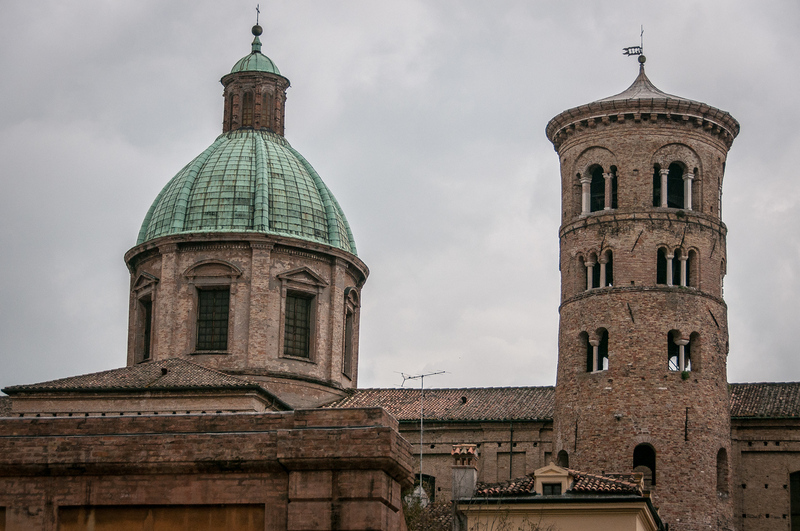 I found Ravenna to be one of the most overlooked attractions in Italy. It doesn’t get the attention of a Venice or Florence, but is well worth a visit. It is only a 45 minute train ride from Bologna and can easily be visited on a day trip. 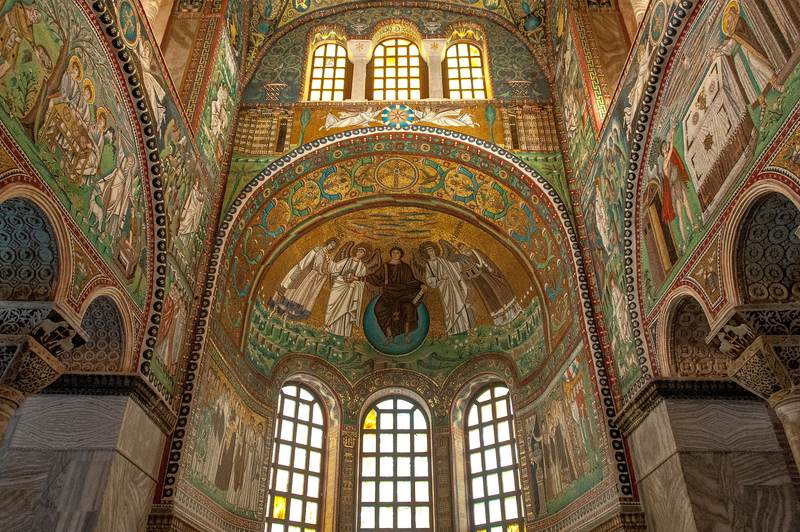 The Early Christian Monuments of Ravenna is a cultural UNESCO World Heritage Site in Italy. Inscribed in 1996, this UNESCO site is a unique collection of monuments and mosaics that date back to the 5th-6th centuries. All of these monuments are located within the city of Ravenna, which served as an important port during this time. In addition, Ravenna was also known as Classis under the rule of the Romans and Byzantines. It became a center of Christian art and culture. This was made possible by Galla Placidia, who is the wife of Western Roman Emperor Constantius III. Being a fervent Christian, she was involved in the restoration and building of various churches that would became part of the Early Christian Monuments of Ravenna recognized by UNESCO today. There are 8 monuments in total that form Early Christian Monuments of Ravenna as one collective unit. 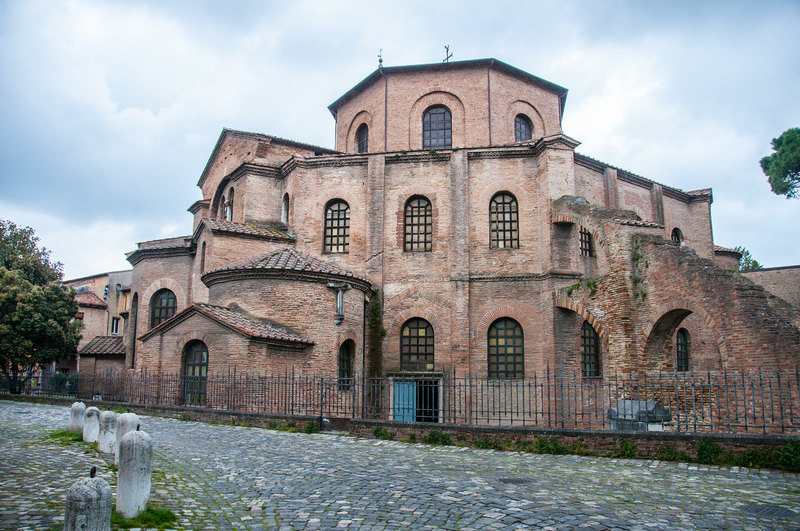 The Neonian Baptistery was built in the 5th century and is known as one of the oldest religious structures in Ravenna. 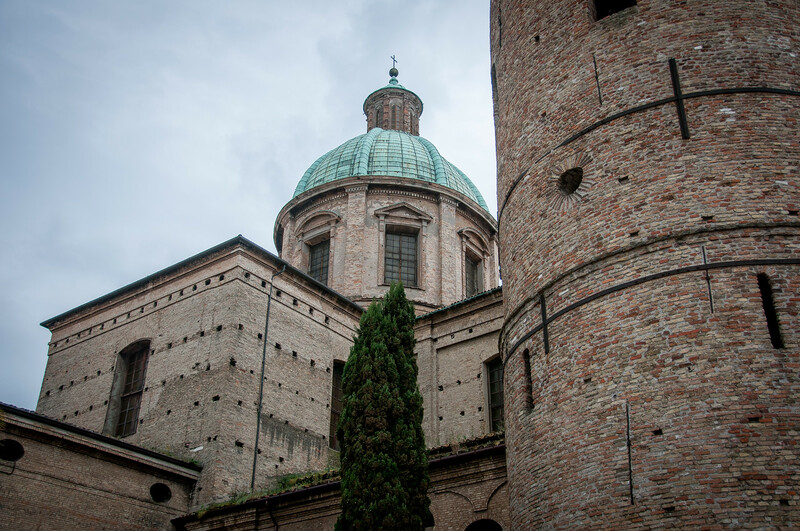 Therefore, it was listed as one of the monuments part of the Early Christian Monuments of Ravenna. The mosaics in this baptistery have been restored in the 19th century; however, the mosaics are still one of the primary reasons why tourists visit the baptistery. In the early 6th century, the Archiepiscopal Chapel is located within the Archiepiscopal Museum. It is recognized as one of the smallest sites to be listed within UNESCO. The chapel is modeled after a Greek cross and its vaults are painted with mosaics. It is one of the oldest private oratory in the Christian world. This 6th century octagon is part of the Early Christian Monuments of Ravenna because of the mosaics and iconography that resembled those of the Neonian Baptistery. This octagon was built in order to give Arians a separate baptistery from those that follow the doctrine. This is another monument that is part of the UNESCO site Early Christian Monuments of Ravenna that was established in the 6th century. It served as the palatine church of Theodoric along with the mosaics that are found here. Some of the mosaics that were present in this church was either destroyed or altered. However, many of the mosaics at the lateral walls of the nave are still present today. This monument is one of the most beautiful that is part of the Early Christian Monuments of Ravenna. 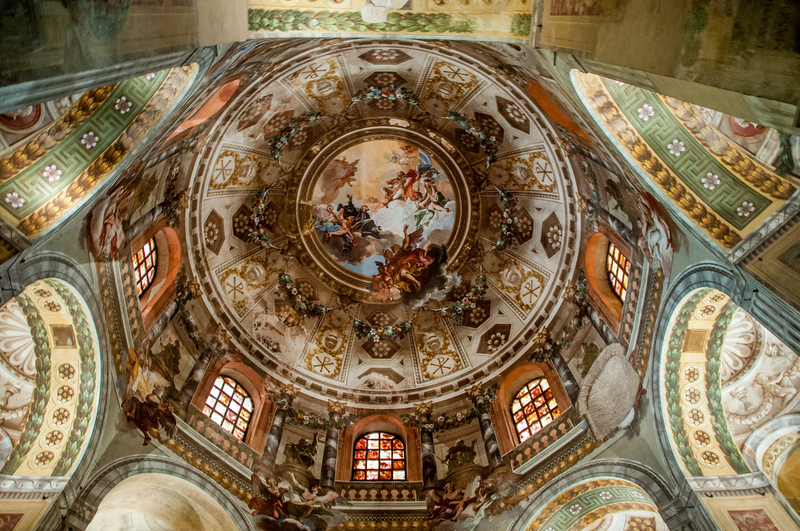 One of the most distinctive features of this basilica is its use of oriental details of the architecture and mosaic. In addition, the mosaics of the Basilica San Vitale are considered as one of the best examples of Byzantine art that are located outside of Istanbul. This 5th century mausoleum is the oldest in Ravenna. 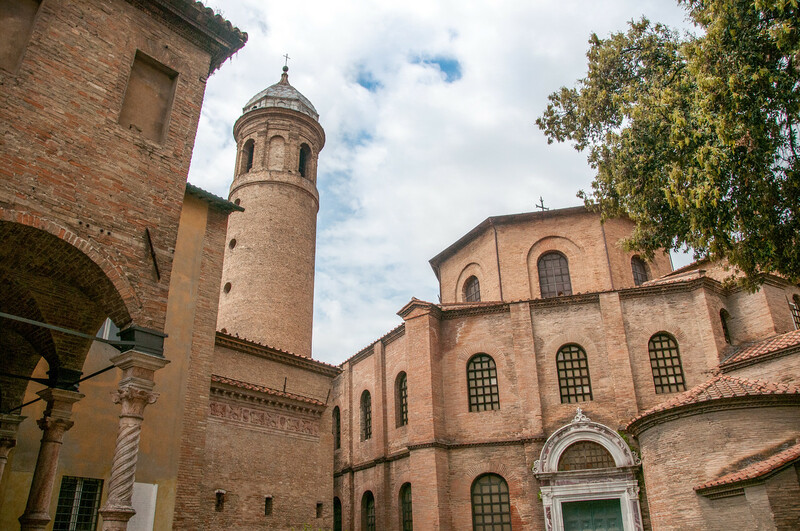 In addition, it is part of the Early Christian Monuments of Ravenna is because it acts as the artistic highlight in the city. It is believed that Galla Placidia herself commissioned that this small chapel be built in AD 425. Even though it was named after her, her remains were never kept in this mausoleum. This is the tomb of the Ostrogoth King who passed away in 526. This building is unique even though it is listed as one of the Early Christian Monuments of Ravenna. It had no distinctive architectural element that would link it to the Greek and Roman periods. The single round stone that serves as a roof to the tomb is one of its most distinctive features. It is unknown how that stone was placed in that particular position. 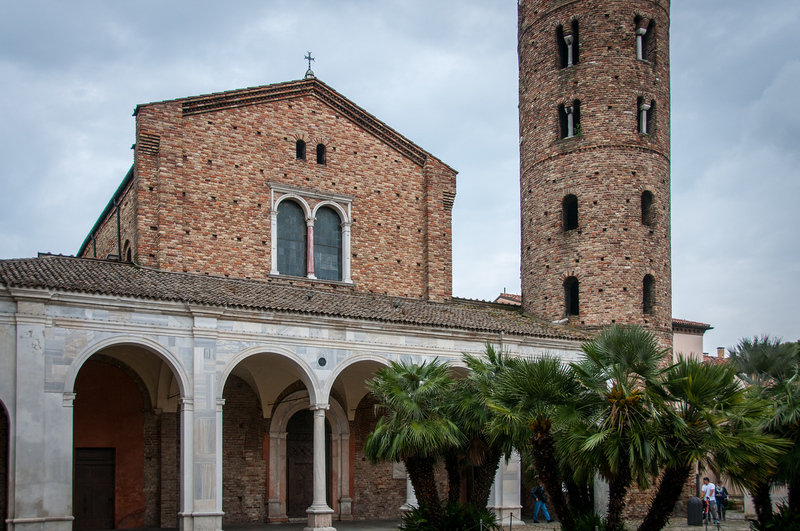 The final monument to complete the list of Early Christian Monuments of Ravenna is the Basilica of Sant’Apollinare in Classe. This is the largest Late Antiquity church in the city. It is located about 8 kilometers from the city center and served as the Roman Empire’s second largest naval base. Ravenna sta come stata è molti anni; l’aquila da Polenta la si cova. con strana e profonda dedizione.